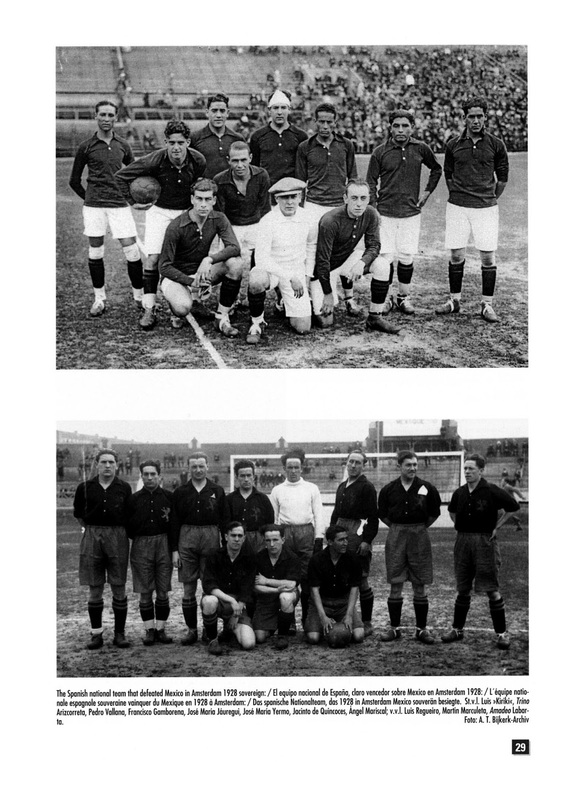 The triumph of Uruguay in the 1924 Olympics had shown that Football supremacy was no longer the sole property of Europe. The New World could now compete with the old and Uruguay were its strongest ambassadors. 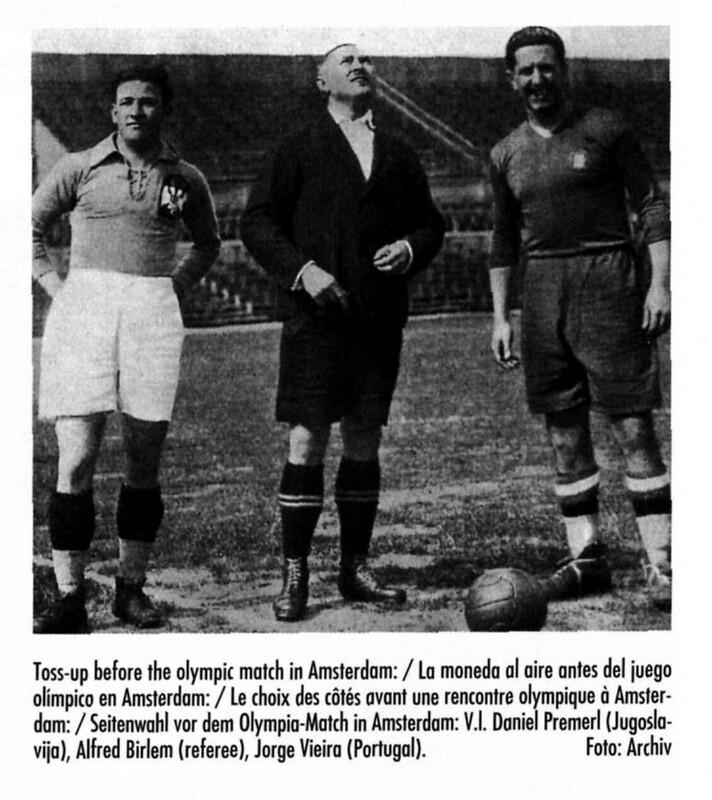 These 1928 series at Amsterdam would take place at a time when the Game was now worthy of a bigger venue and there was chatter to that end. This was also due to the fact that the sport itself was becoming more professional (in some countries) and the Olympics and its amateur status were at odds. 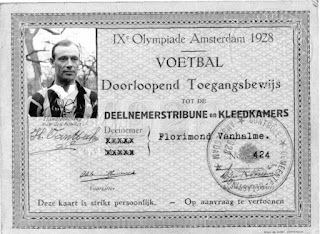 As a result, it was unclear whether Football would be part of the games, about a year before these Amsterdam Olympics. The IOC were opposed to any professionals taking part. 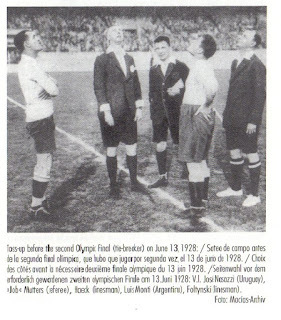 FIFA and the IOC had to negotiate and reached an agreement over compensation for lost earnings in June 1927 to allow Football in the Olympics. The various Nations would have to ensure that the players would not receive any reimbursement of expenses, or compensation for loss of income. The payments were to be made to the employer of the player. The British Home Nations once again left FIFA in protest concerning this issue. Nations such as Sweden and Norway also did not participate over this compromise. Austria and Czechoslovakia also declined to participate. They now had Professional Leagues of their own and did not want to present their Amateurs to play against Professionals. Some Nations declined to participate due to financial reasons. By deadline day of April 15, 1928, Eighteen Nations entered the fray. These included Germany, back for the first time since 1912 and isolation from World War I. 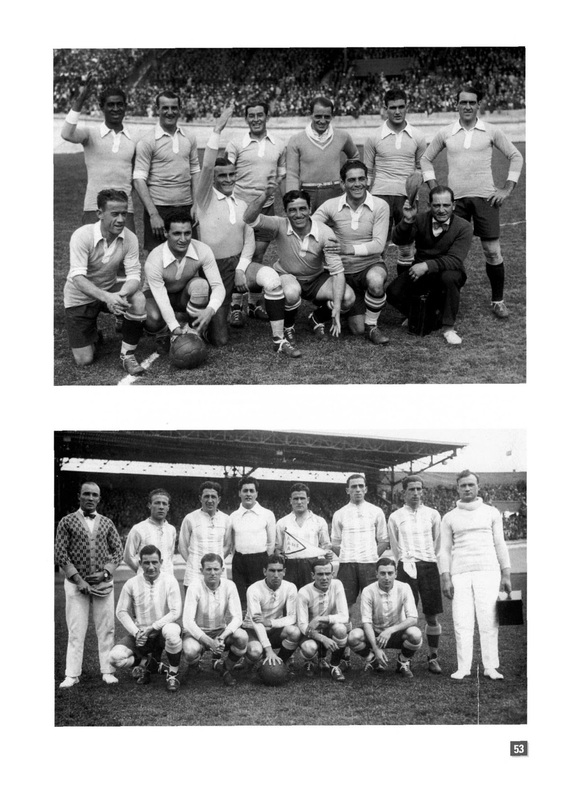 The 1924 Champions Uruguay entered with just as strong as a team as before. They had as many as eight of their 1924 side. 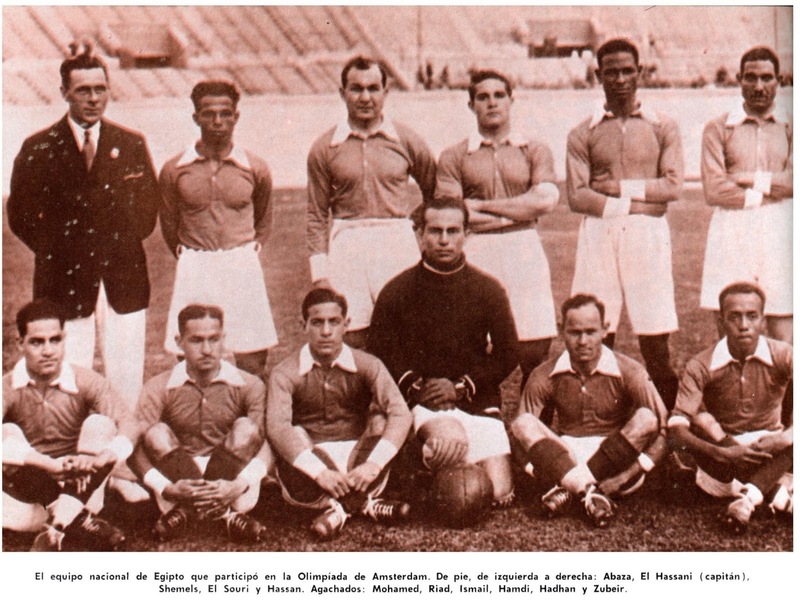 These included Captain José Nasazzi, along with Andrés Mazali, José Leandro Andrade, Santos Urdinarán, Héctor Scarone, Pedro Petrone, Pedro Cea and Pedro Arispe. 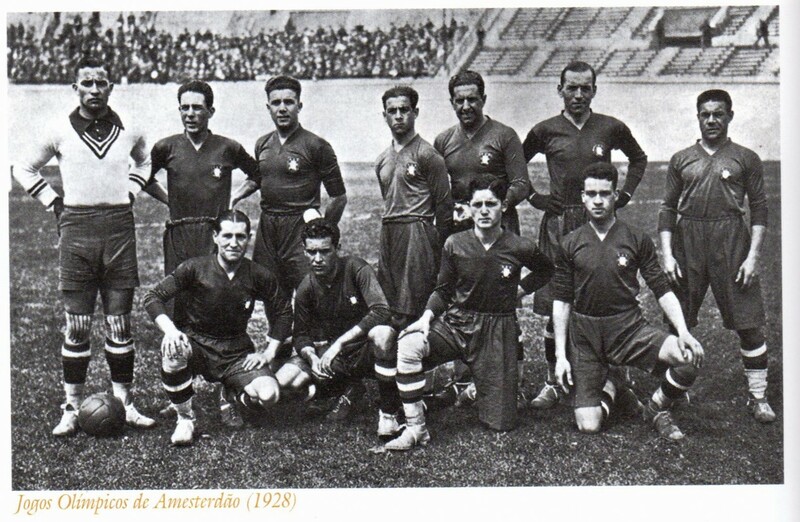 José Leandro Andrade, the toast of the 1924 series, almost did not participate unless he was compensated Financially. Eventually, he agreed to participate and rejoined the squad on route to Amsterdam. 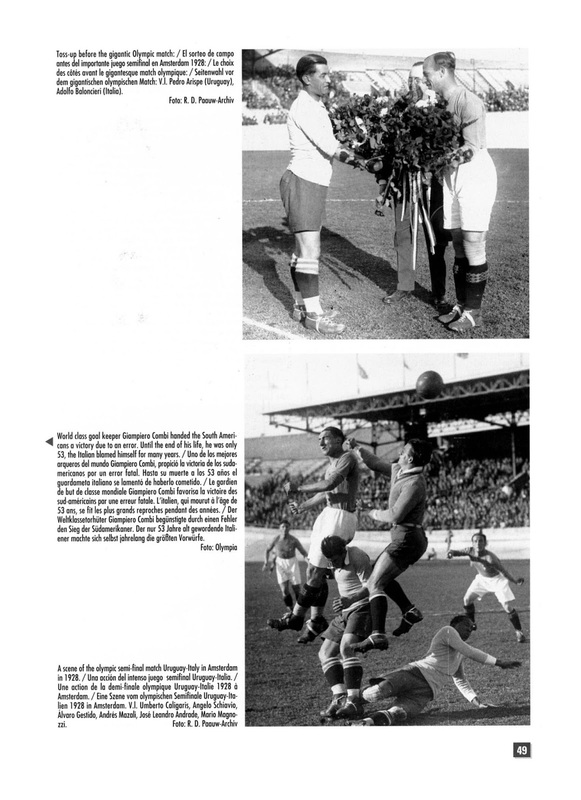 Their rivals across the ‘Rio de La Plata’ were just as strong and presented a formidable opposition with the likes of Luisito Monti, Manuel Ferreira and Domingo Tarasconi among others. 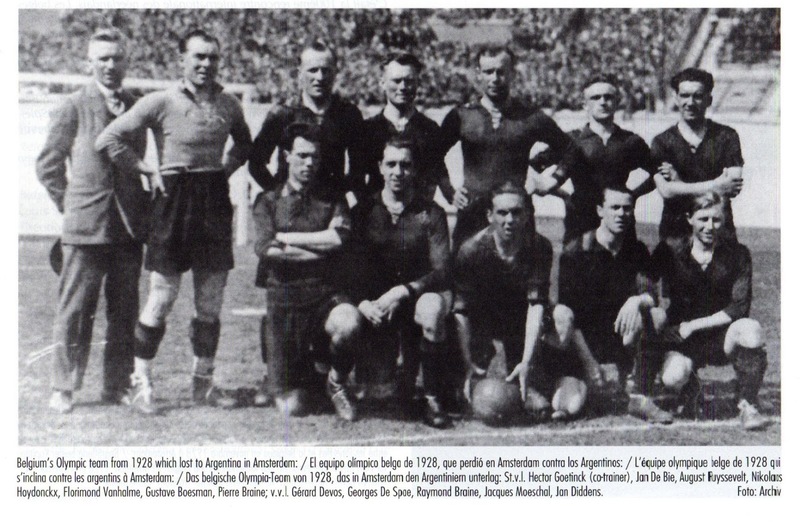 The Argentina squad boarded the English Ship ‘Alcantara’ many months before the games on March 1928. So strong were these two rivals that ‘El Grafico’ Magazine had predicted (correctly) the Final to be between these two Nations. Argentina would first be stationed at Duin near Amsterdam. It was said they had to relocate to Haarlem as the players were taking shots at the swans at Duin. Other Teams from the Americas included Chile, as well as USA and Mexico from North America. The Mexicans’ journey nearly took a month. First they traveled with train to USA to New York. Once there, they boarded a ship to Amsterdam. 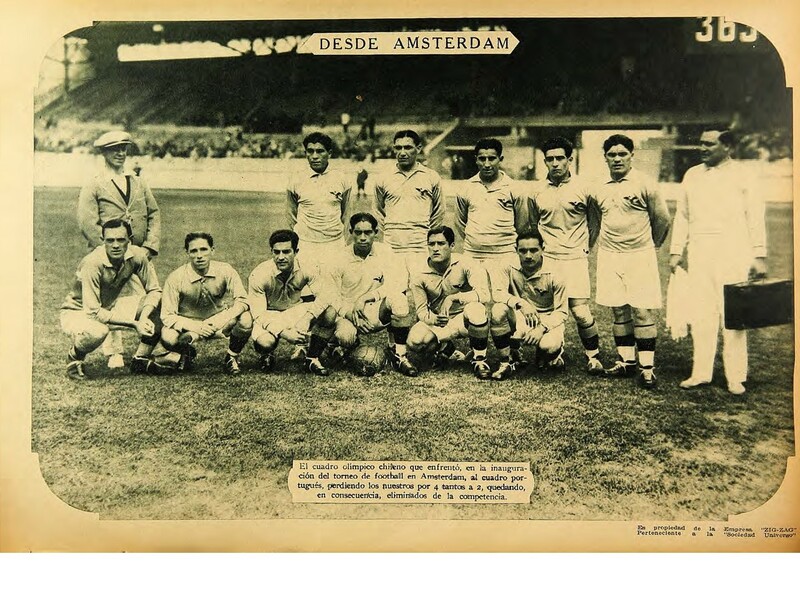 It was forbidden to train on the ship as a result the players were under-trained and out of shape upon arrival to Amsterdam, which reflected in their performance. Egypt were Africa’s sole representative, along with Turkey (Asia). Naturally most of the participants were from Europe. The Dutch hosts had high expectations after some fine performances in the last Olympics and general progress of the game in the Nation. They were to be captained by veteran Harry Denis (whose choice as skipper would be questioned, more on that later….). Their Belgian neighbors had benefited as hosts to win the 1920 series, but were not seen as such a threat this time around. 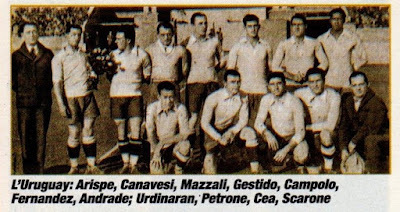 Spain presented itself with a somewhat weaker squad as Professionals such as its Legendary goalkeeper Ricardo Zamora did not participate. The team was essentially a Basque selection with many Real Sociedad players. Italy were seen as Europe’s strongest participant. 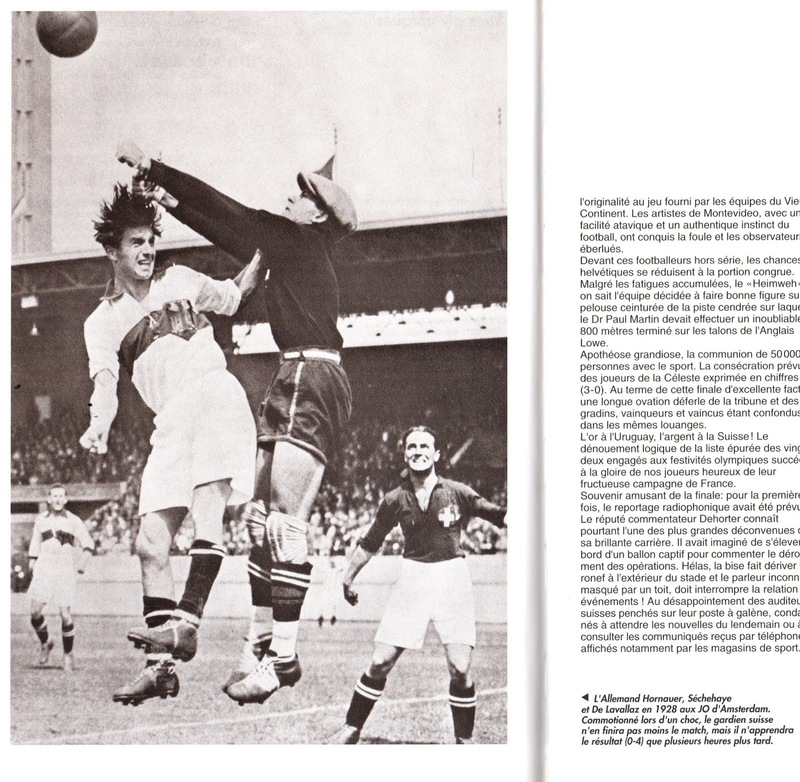 They included the defensive fulcrum of Umberto Caligaris and Virginio Rosetta. Not to mention, Adolfo Baloncieri and Virgilio Levratto, two of Italy’s greatest players of that Generation. 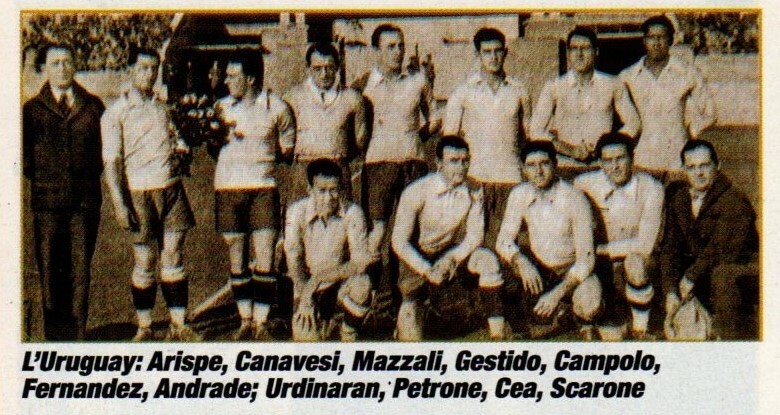 They also included players who would go on to bigger and better things in the years to come such as goalkeeper Giampiero Combi and Angelo Schiavio, while midfielder Fulvio Bernardini would go on to become one of the Greatest Managers in Italian History. Italy had to do without Leopoldo Conti (due to Professional status), as well as the Argentinean-born Julio Libonatti. 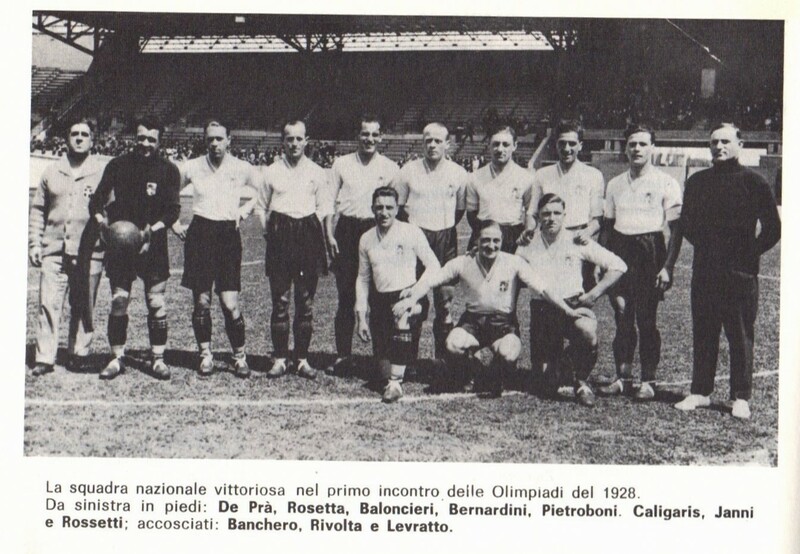 Libonatti was clearly in Italy for Professional reasons and also did not want to be pre-occupied in case Italy met Argentina at the Games. Andrea Viviano, who was part of the Olympics squad, was injured in a match (which essentially ended his career). France, Luxembourg, Portugal and Yugoslavia rounded out the European participants. By May 17, 1928, the Teams were required to submit their full squad list. Bulgaria withdrew shortly after an earthquake had ravaged the Nation. Greece and Estonia would follow suit. 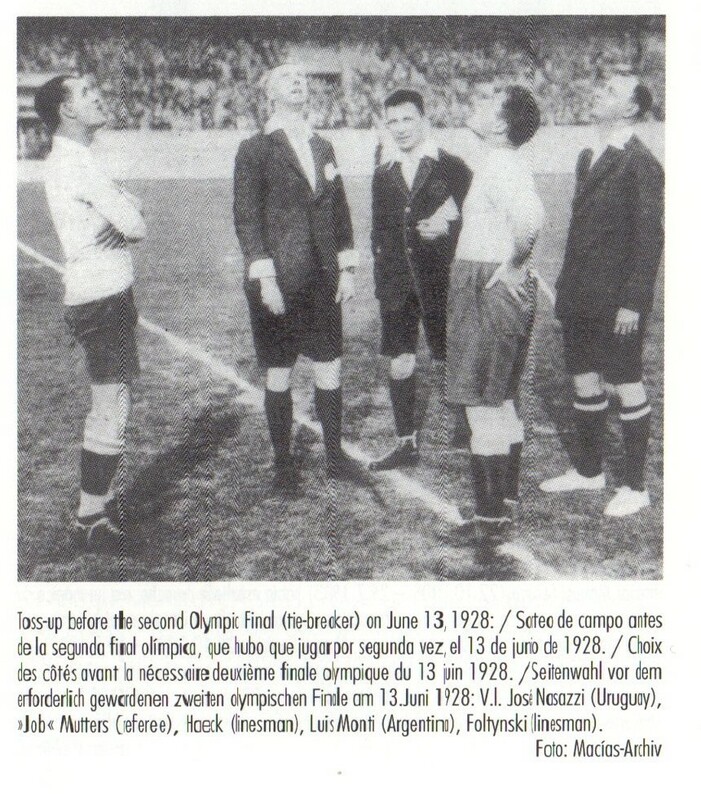 The Matches were originally set to take place at the end of June 1928, but some of the participants lobbied for an earlier date. As a result the competition would be pushed back a month and would actually commence before the actual Olympics. It has also been implied that this was also to "distinguish" this sport from all the others. Prince Hendrik of Holland made the draws just two days before the tournament. Unluckily for his Nation, the hosts, he picked Uruguay as their opponents. 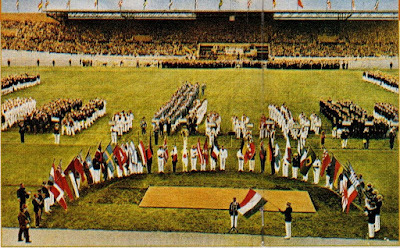 The Olympics kicked off on May 27th at Amsterdam’s Olympisch Stadion in a Preliminary Round Match between Portugal and Chile. Portugal struggled in the first half and fell behind twice. However, Portugal got back in the game and just before halftime had leveled the score (2-2). Portugal would score twice more early in the second half to advance to the next round and left Chile to dispute the Consolation Tournament (open to the teams eliminated before the quarterfinals). Portugal’s two-goal scoring hero Pepe would sadly pass away just a few years later (October 24th, 1931) due to food poisoning. 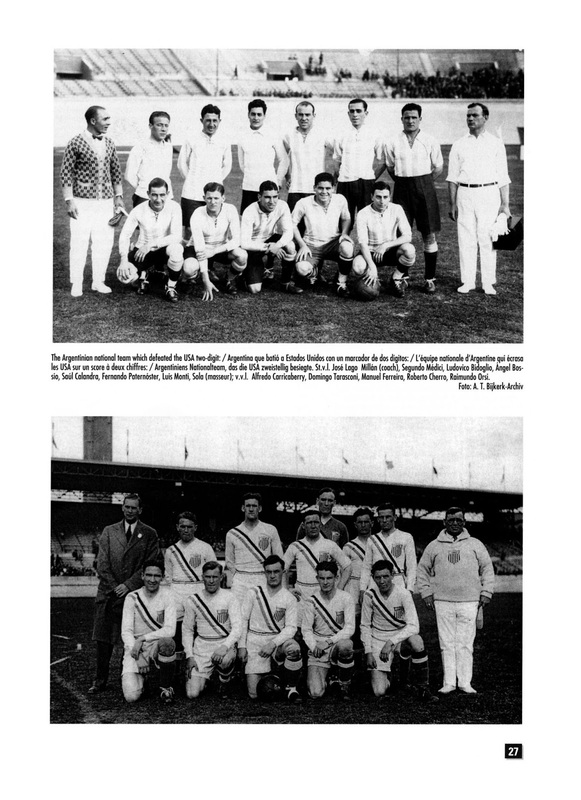 It has been reported that Hugo Meisl, Austrian Manager of the ‘Wunderteam’ was so amazed by the Portuguese performance that he invited them to play exhibition matches in Austria. On the same day, the First Round kicked off as well. Belgium faced Luxembourg and appeared to be cruising for an easy win after taking a (3-0) lead, however, Luxembourg fought back and tied the score (3-3) just before halftime. Belgium would score twice more in the second half for a (5-3) win. For Belgium, the starting goalkeeper Jean De Bie did not start this match. His young daughter had fallen off a balcony and seriously injured while waving goodbye to him, so he had delayed joining the squad. Jean Caudron started in his place. 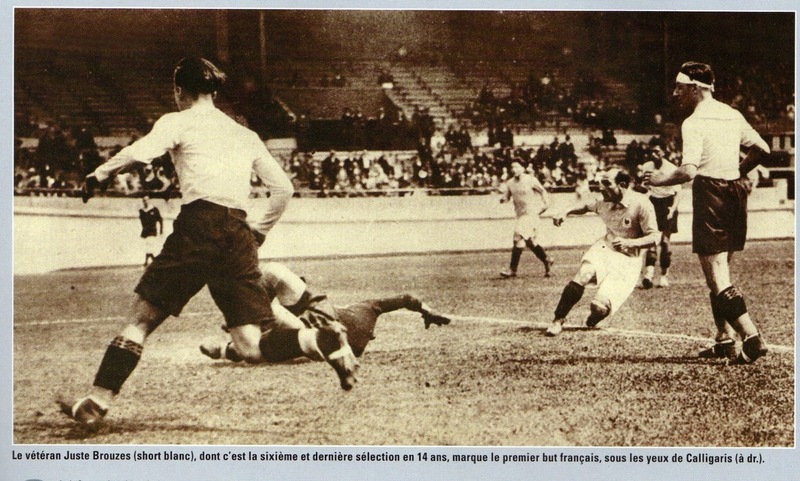 This match was also the International debut of Belgium’s Louis Versyp who scored on his debut. 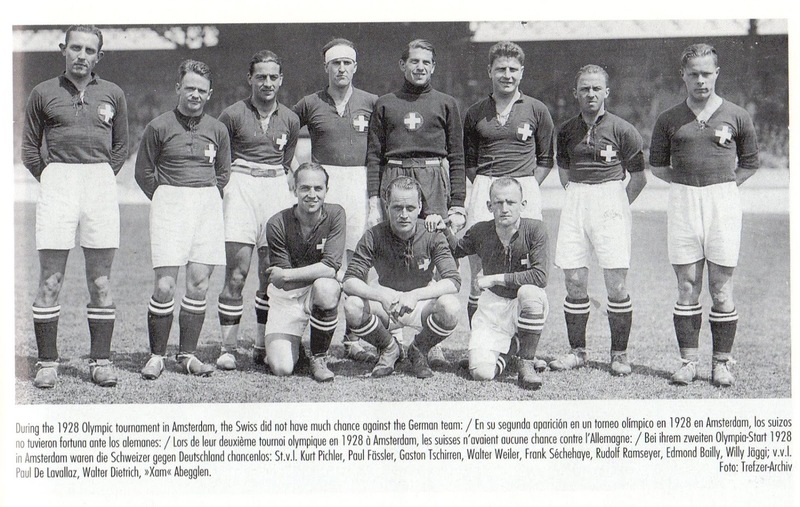 On the following day, May 28th, Germany faced the 1924 Olympics finalists Switzerland. 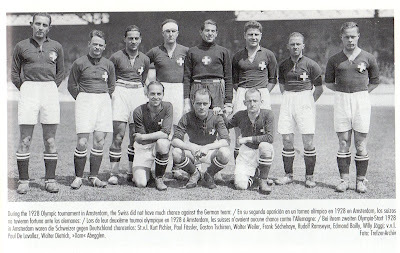 The two sides had met just a month before on April 15th, 1928 at Bern with the Germans winning (3-2). It was reported that up to 10,000 German fans had traveled to see their team. It would be a comfortable win (4-0) for the Germans. Richard Hofmann would lead the way with a hat trick. On the same day, Egypt faced Turkey and easily defeated them (7-1) to advance to the Quarterfinals. 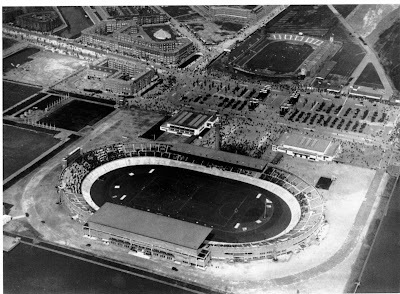 On the following day (May 29th), France and Italy faced off in the Olympisch Stadion. 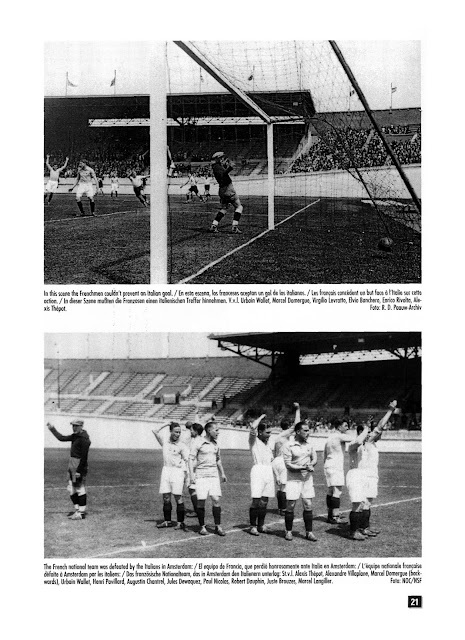 There was apprehension from the French quarters for this match as the Italians had been difficult foes in the preceding years. Italian defender Umberto Caligaris had even said, “losing in itself is not bad but against France, it would be a national catastrophe”. 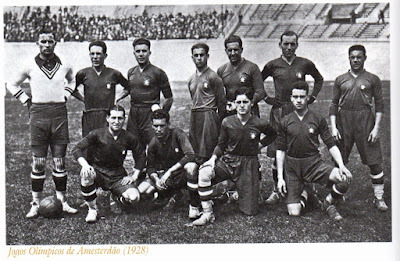 For France (lodged at Amsterdam’s ‘Hotel Amstel’), their Captain Paul Nicolas had been the last to join the squad (arriving at 8 PM the day before the match). It was said he had an influential and privileged position within the squad and it was at his behest that Marcel Domergue was in defense. France had included the 34 year-old Juste Brouzes (first capped back in 1914). Brouzes would score twice to give France an early two-goal lead in les than 20 minutes. For the first goal, he volleyed a cross from Langiller and minutes later picked up a rebound from Pavillard’s shot that had been parried by De Prà. 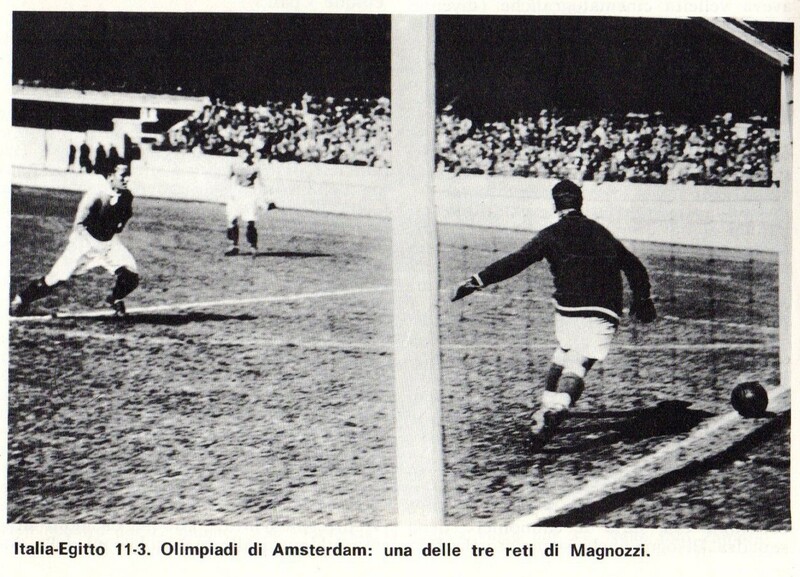 However, Italy pulled one goal back immediately through Gino Rossetti. Levratto would tie the score in the 39th minute. In the following minute (40th minute), the Belgian Referee Henri Christophe blew the halftime whistle. His assistants notified him of his error and the teams had to be called back to resume the remaining minutes of the first half. Italy would score in the 43rd minute through Banchero (a goal that appeared offside). It was his first cap and goal. In the 60th minute, Italy scored their fourth goal through Baloncieri. Just a minute later, France pulled one more goal back through Robert Dauphin (from a pass by Pavillard). France could not get back into the game and were eliminated. Paul Nicolas’ injury did not help. He played on despite being injured. The French Press felt the incident prior to halftime changed the course of the match. As they believed France were the better team up to that point but lost the momentum following the error by Henri Christophe. For the Italians, Giovanni De Prà had looked hesitant in goal and his poor performance would cost his place at the expense of Giampiero Combi for the rest of the Tournament. The Team would be modified for the next round. On the same day (May 29th), Portugal faced Yugoslavia at Amsterdam’s Ouse Stadion. The score was tied (1-1) at halftime. 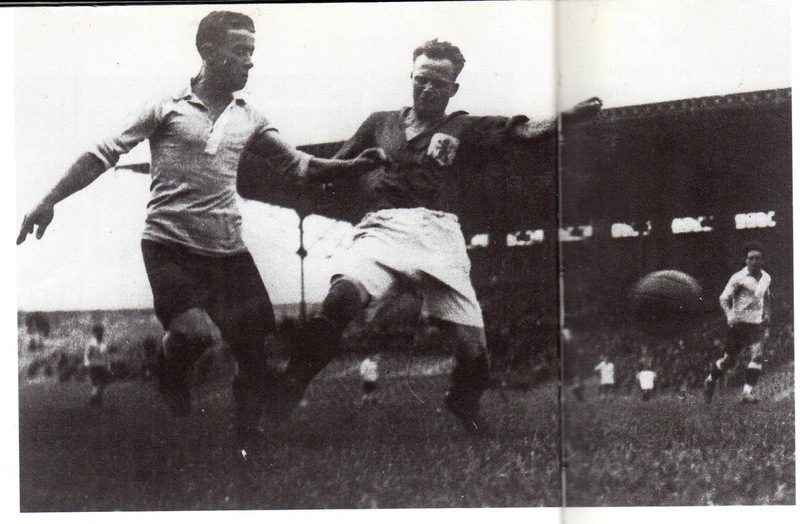 In the 80th minute, Portugal’s Valdemar de Mota and Milutin Ivkovic were both sent off for fighting. Portugal picked up a gear and attacked relentlessly. In the very last minute Augusto Silva scored Portugal’s winner. At the conclusion of the match, Portugal supporters invaded the pitch to celebrate. 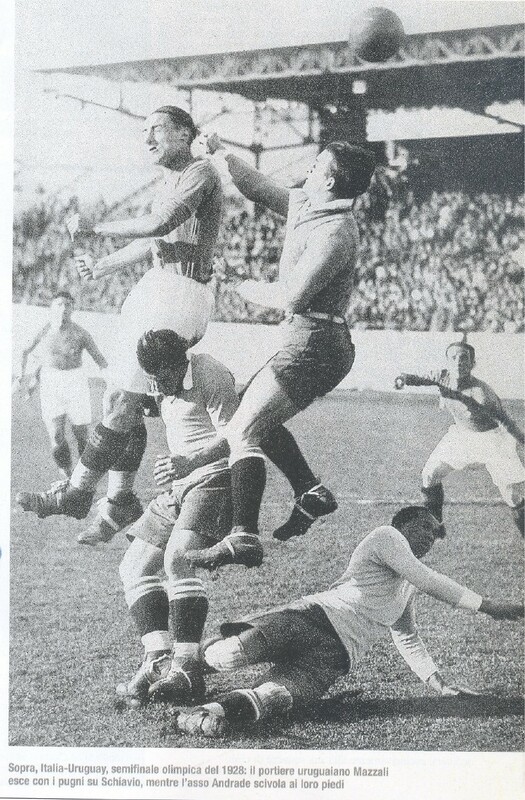 Augusto Silva, the goalscorer, was carried on the shoulders of his teammates. 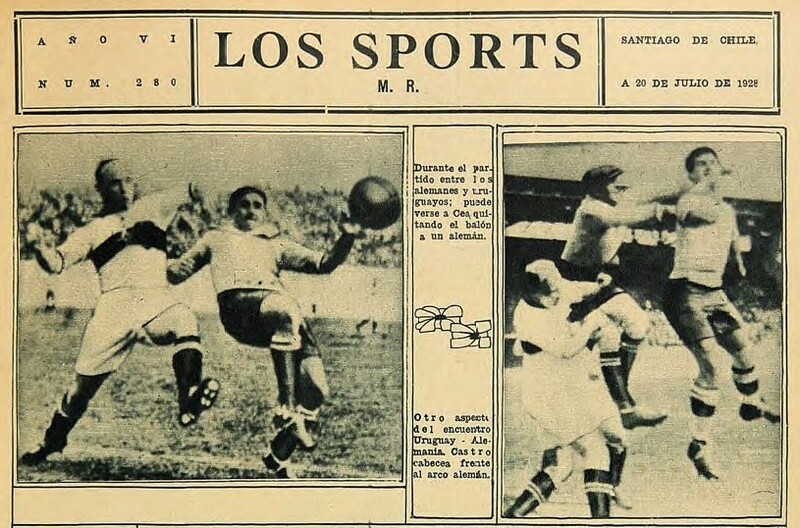 On the same day (May 29th), Argentina demolished USA (11-2) with Domingo Tarasconi scoring four goals and Roberto Cherro scoring a hat trick. The Americans were not helped by the injury to their goalkeeper Albert Cooper. He collided with another player during the match and afterwards was not at ease. One of the Americans’ goals by Kuntner was scored by a clear handball. On the next day (May 30th), Spain faced Mexico. The Italian Referee Achille Da Gama Silva Malcher was originally designated to referee this match, but he was replaced with the Hungarian Gabor Boronkay after the Spanish protested since their next opponents in the Quarterfinals would have been the Italians. In the end it probably would have made no difference as Spain comfortably won (7-1) with Yermo scoring a hat trick. Mexico were rather inexperienced with as much as nine of them making their International debuts. 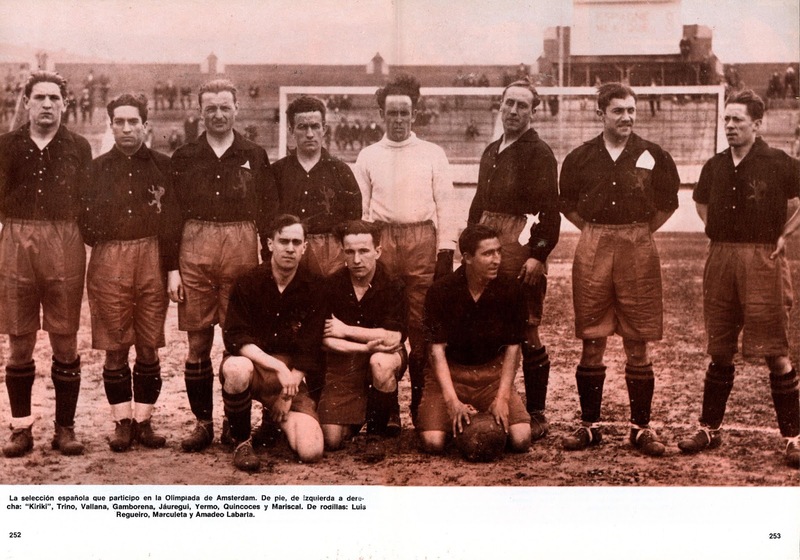 The Spanish themselves had five debutants: Jauregui, Quincoces, Amadeo, Marsical and Marculeta. 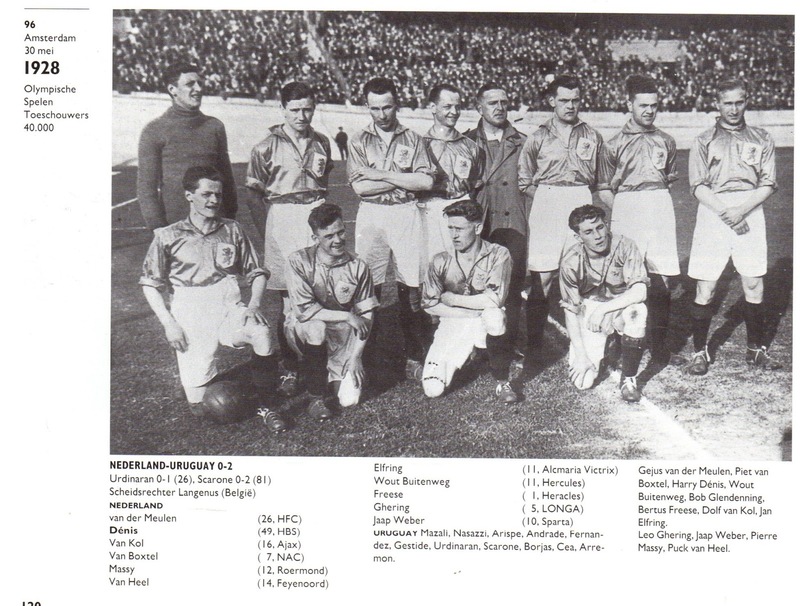 On the same day (May 30th), the Dutch hosts took on the 1924 defending Champions Uruguay. 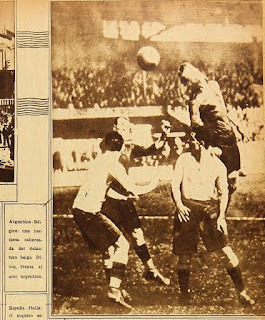 It was a rematch of the 1924 semifinal that Uruguay had won. The Dutch had recalled the 34-year-old Wout Buitenweg to boost their chances. 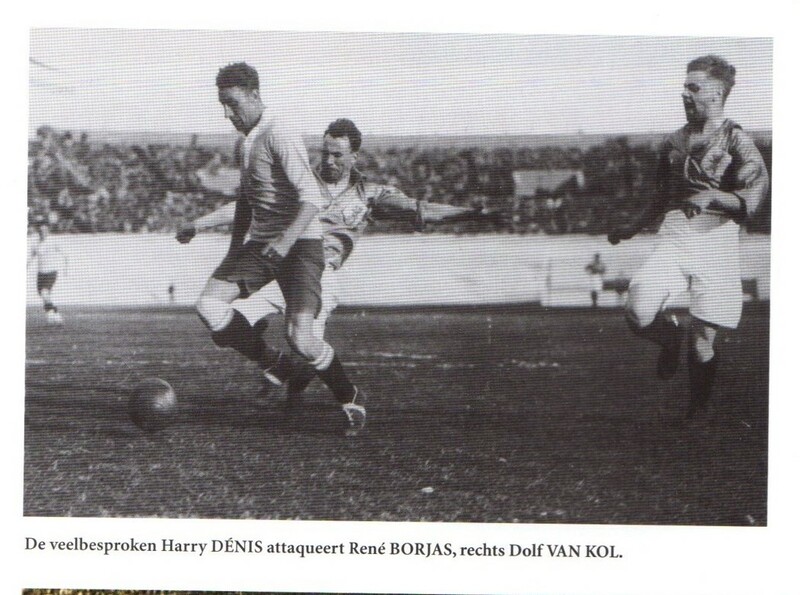 Wim Tap had been dropped from the starting lineup, to be replaced with the debutant Bertus Freese (apparently at the behest of Team captain Harry Denis). This would turn out to be his last cap as well. 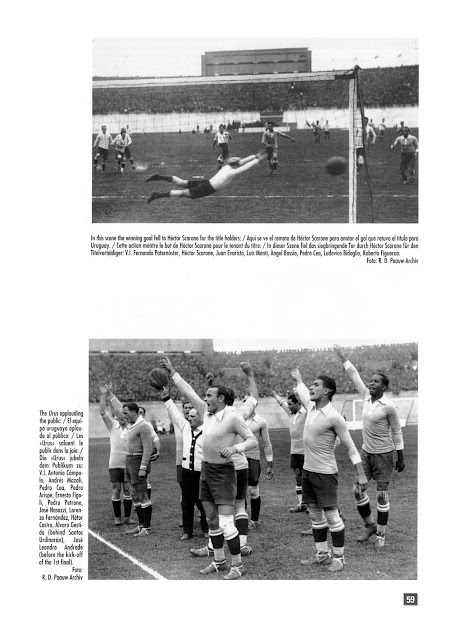 However, this Uruguay was just as formidable as in 1924 and the hosts posed no threat against such opposition. 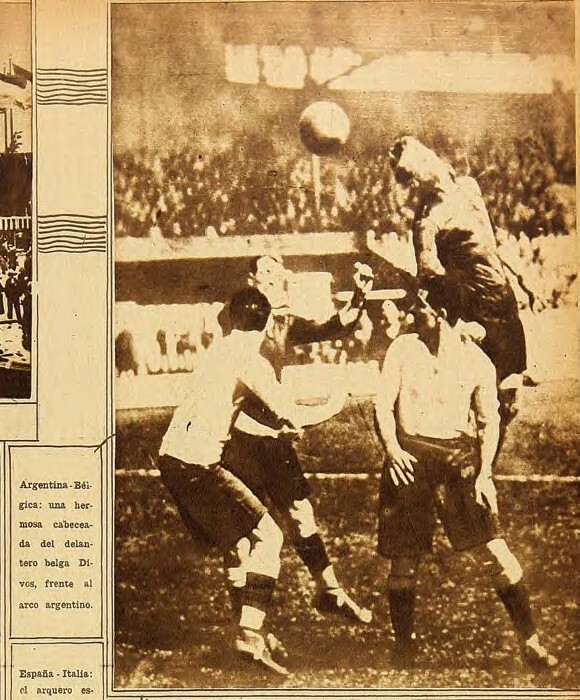 Uruguay were superior in all aspects despite the fact that many observers felt the Belgian Referee John Langenus had favored the Dutch in his decisions. Uruguay would win (2-0) to eliminate the hosts in the first hurdle. On the following days after the defeat, the chatter within the Dutch Press centered on the choice of Harry Denis as Captain. Harry Denis, was a veteran of three Olympics (1920, 1924 and now 1928). 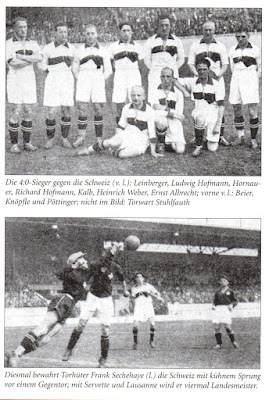 He was along with goalkeeper Gejus van der Meulen, the only players back from the 1924 squad. There were reports of un-sportsmanlike behavior related to this match vs. Uruguay that made many question the choice. 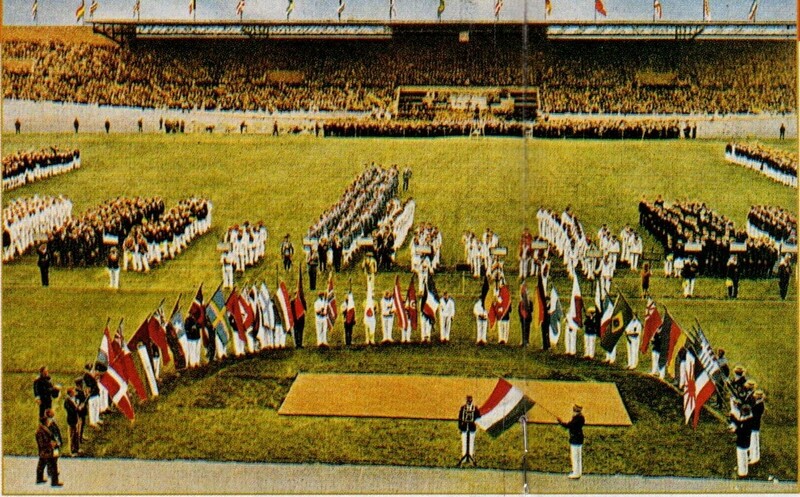 Denis was set to become on July 29th, the first Footballer to take the Olympic Oath at the opening ceremonies (scheduled after the Football Matches). The socialist daily newspaper ‘Het Volk’ questioned whether he was suited for this honor given the alleged poor behavior. ‘Het Volk’ had relied on the reporting of another newspaper ‘De Bezem’, who made public that Denis and Van der Meulen had tried to rile up and incite their teammates to be hateful against Uruguay, as they believed that the South Ameicans would play a rough physical match. Many believed this was pent up resentment stemming from the 1924 encounter. The duo had continuously in the intervening years complained of the ‘evils’ of the Uruguay side. ‘Het Volk’ also relied on three players as witnesses in disclosing the various indiscretions. It was alleged that right from the kick-off, Denis had refused to shake hands with his Uruguayan counterpart Jose Nasazzi. Another alleged incident involved a phase in the match, where Holland’s Pierre Massy and a Uruguayan fell in a collision. The Uruguayan stood up reached out his hand to Massy, but Denis yelled, "Do not take it! Do not take it!". Massy his had already outstretched and had to back down. In another incident, Denis himself had fallen and was not able to get up immediately. A Uruguayan player came to help him, but Gejus van der Meulen in a rude manner turned him away. In another alleged incident, before the kickoff Nasazzi had given a Uruguayan pennant/flag to Denis. When the sides changed sides at halftime, the Uruguayans discovered that their flag/pennant had been left and discarded in the Dutch goal. During the match, Denis and van der Meulen were heard repeatedly to encourage their teammates to kick the Uruguayans. At one point allegedly Denis yelled,” I kick Scarone in the hospital next to Petrone!". 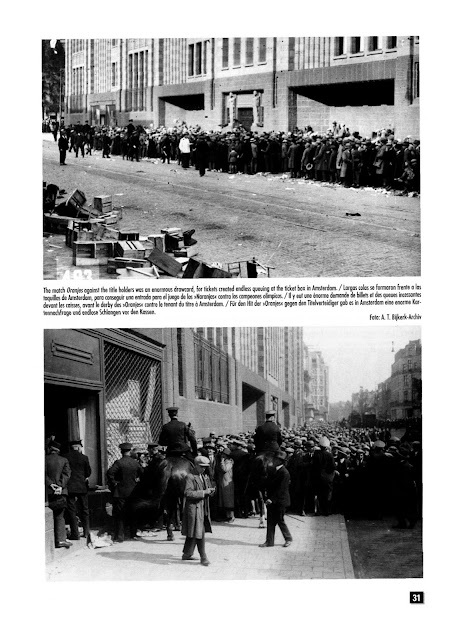 The weekly magazine ‘Sport in Beeld’ would reveal the sources of ‘Het Volk’. 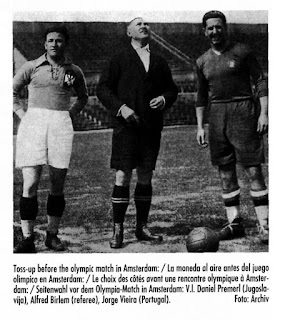 The players in question were: Jaap Weber, Puck van Heel and Pierre Massy. Newspapers such as, De Telegraaf, demanded a public inquiry. ‘Sport in Beeld’ wrote, “If Harry Denis is to be allowed to climb the seat he has set up for an oath on the sporting events of the Olympic Games, thousands will certainly be convinced that he himself recently at those Games against the unwritten laws of sportsmanship has sinned? " After a month, Denis wrote a letter to the chairman of the Dutch Technical Commission, Carl Hirschman. Hirschman made the contents public and quoted Denis saying that he had not shaken hands with Nasazzi at the coin toss because he had earlier already shaken hands twice with him and felt it was unnecessary to do it a third time. 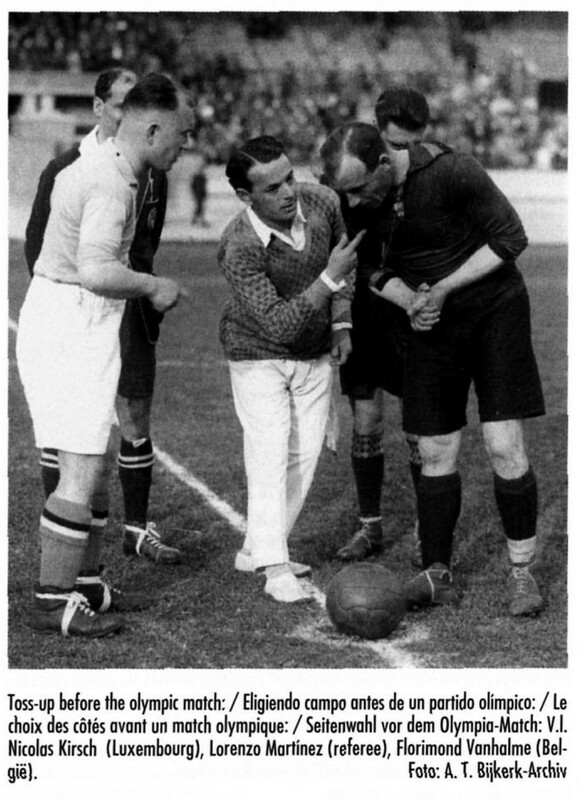 The Pierre Massy incident (urging him not to shake hands) was confirmed and explained that he did not want to reward the opposition for continuous unfair play with a handshake (as Massy had been fouled several times). As far as leaving discarding the flag/pennant, Denis’ explanation was that he had forgotten all about it in the emotion of the moment. The incitement of the other players by Denis /van der Meulen was not addressed by Carl Hirschman. However, the Press still urged an investigation. It was also reported that at the halftime break, Wout Buitenweg was not satisfied with his position and wanted to switch with Bertus Freese's position. The Manager and the Technical Commission did not grant his request so Buitenweg started taking off his shoes. At this point, Harry Denis intervened and told him, “You can not make this Wout, we are busy with the Olympics". He was consoled after being promised to play in central midfield. 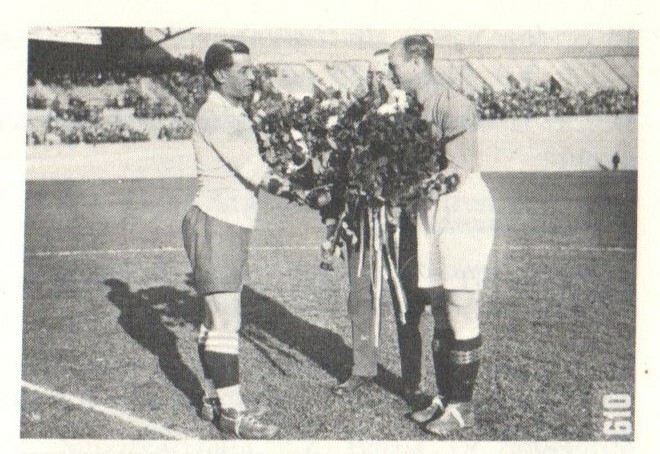 After Holland’s elimination, Roermond based duo Pierre Massy and Harry Schreurs would leave the squad. Massy was perceived to be the main source to the ‘Het Volk’ newspaper about Denis and van der Meulen. Massy did not deny that he had spoken to the newspaper but denied that he had approached them himself. He also felt many more players had spoken to the newspaper about Denis/van der Meulen. In solidarity, Schreurs left the team along with Massy. Back to the business of the Football on the field. The First Round was over and the Quarterfinals were at the center stage. Jules Rimet made the draw for the Quarters. On June 1st, Italy faced Spain in the only all-European clash. Spain made a few changes from its previous match. Zaldua, Antero and Legarreta came in for Vallana, Gamborena and Trino (Antero and Legarreta were making their International debuts). For Italy, Giampiero Combi was in the net as the new starter. 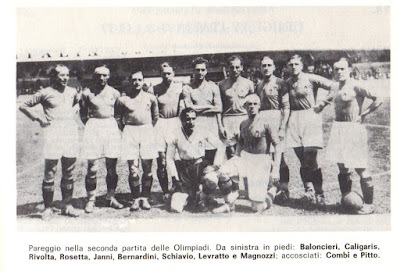 Alfredo Pitto replaced Fulvio Bernardini in midfield and Angelo Schiavio was drafted upfront in place of Elvio Banchero. The introduction of Zaldua proved positive for Spain as he opened the scoring in the 11th minute with a long distance free kick. The fact that the sun was in his face may have hindered Combi. Spain’s Antero was injured in the match, had to leave the field before returning with a bandaged arm. However, he was virtually ineffective afterwards. Italy would dominate in the later going to salvage an equalizer and Baloncieri would score the tying goal. The score remained unchanged and the sides had to meet in a replay. 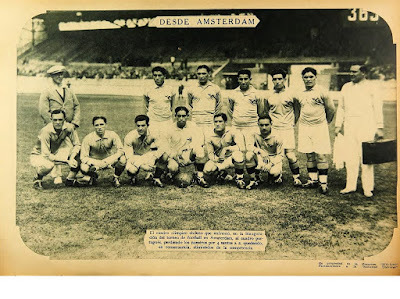 On the following day (June 2nd), Argentina faced Belgium in Amsterdam. It would be yet another comfortable Argentina victory (6-3). Tarasconi scored four goals for the second successive match. Belgium had Jean De Bie (who had arrived just minutes before the match) back in goal after the tragedy concerning his daughter. However he was helpless against a team like Argentina, who advanced to the semifinals. On the following day (June 3rd), Portugal took on Egypt. The Portuguese goalkeeper Roquete would be blamed for both Egyptian goals. In the 65th minute, Vitor Silva scored a goal that was invalidated. Vitor Silva did reduce the deficit in the 76th minute but Portugal were eliminated and Egypt reached the semifinals. On the same day (June 3rd), Uruguay faced Germany. Uruguay were missing the injured Andrade, Piriz would replace him in the lineup (his debut for the National Team). Hector Scarone was also rested which allowed Castro to start. The German national team played for the first time in its history with an unchanged lineup. 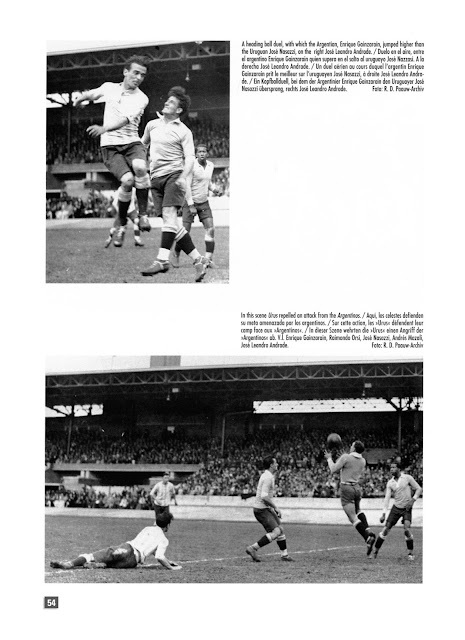 Once again Uruguay would dominate and comfortably win (4-1) in an ill-tempered match that saw three sending offs. In German sources it is implied that the Germans lost their cool after repeated Uruguayan fouls that had gone unpunished. Pedro Petrone had opened the scoring for Uruguay in the 35th minute. 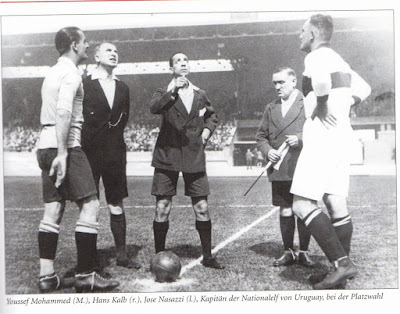 A minute later, Germany Captain Hans Kalb was sent off after a revenge foul on Petrone. Leinberger was shifted in Kalb’s position and Richard Hoffmann filled in for Leinberger. Couple of minutes later, Petrone scored another goal to virtually seal the match against an opposition with already a man down. Uruguay would score twice more in the second half, with the Germans pulling one back. The result had been a foregone conclusion for some time. 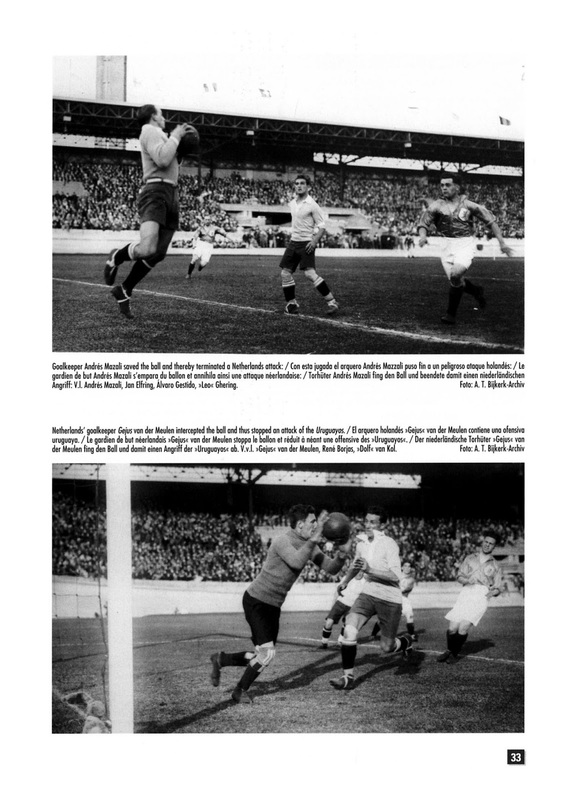 There was late drama as in the 87th minute; Uruguay captain Jose Nasazzi and Richard Hofmann would be jointly sent off. Nasazzi had fouled Hoffman who had retaliated. Nasazzi was carried off on a stretcher and only later learned that the dismissal had applied to him as well. This was the first ever International match where both captains (Kalb and Nasazzi) had been sent off. Hans Kalb would leave the German team quarters that night and say goodbye to the National Team for good. The DfB handed out a one-year International ban to Kalb and Richard Hofmann. On June 4th, Spain and Italy faced off for their replay. Due to injuries and fatigue, Spain made five changes. Legarreta, Antero, Mariscal, Regueiro and Kiriki were out to be replaced with Gamborena, Bienzobas, Cholin and Robus (Bienzobas, Cholin and Robus were making their International debuts). Italy made only two changes. Fulvio Bernardini came in for Silvio Pietroboni and Mario Magnozzi replaced Gino Rossetti upfront. Italy Manager Augusto Rangone had decided on deploying three defensive midfielders: Pitto, Bernardini and Janni. 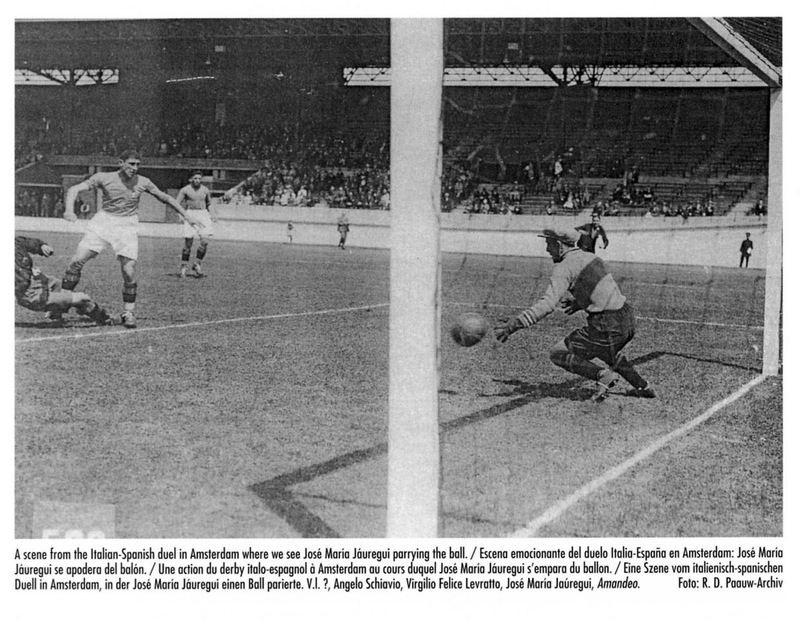 The first encounter had been a stalemate, this would be anything but as Italy routed a tired Spain (7-1). The Olympics had coincided with the Italian Giuseppe Biagi’s expedition with an airship to North Pole that had crashed. They had been launching ‘SOS’ Morse codes in desperation to be rescued. The story goes that he had shouted ‘Victory’ to which his companions asked if their messages had been heard. His reply was, “No, but Italy beat Spain for 7-1!”. (…see the Sean Connery film, “The Red Tent”). The Semifinals started on June 6th with Argentina against the sole African Representative Egypt. It would be yet another comfortable win for Argentina (6-0) with Tarasconi scoring a hat trick. He had now scored three goals or more in three consecutive matches. 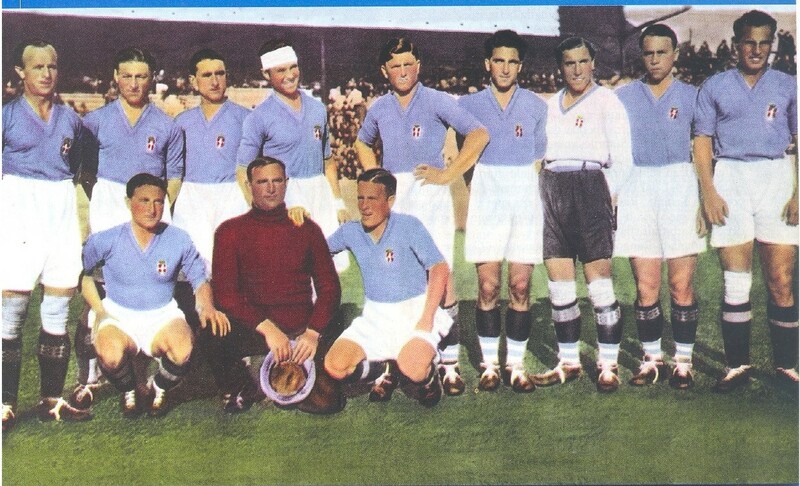 On the following day (June 7th), Uruguay and Italy faced off. Uruguay Captain Jose Nasazzi was suspended, therefore Arispe would captain in his place. Andrade was also back in the lineup and reclaimed his spot from Piriz. Hector Scarone was also back in the squad in place of Castro. Italy took the lead but Uruguayans scored three more times before the end of the half to take the lead. Levratto, voted as the best European player of the Games, pulled one goal back in the second half, but despite a valiant effort Uruguay advanced to its second successive Final. Levratto had a penalty claim after being fouled by Canavessi in the box, but despite the protests the Referee did not award the penalty. Giampiero Combi would call this match as the low point of his career as he was at fault for the first Uruguay goal. During the match, Andrade sustained a head injury by hitting his head to post. This would damage his vision to the end of his life. 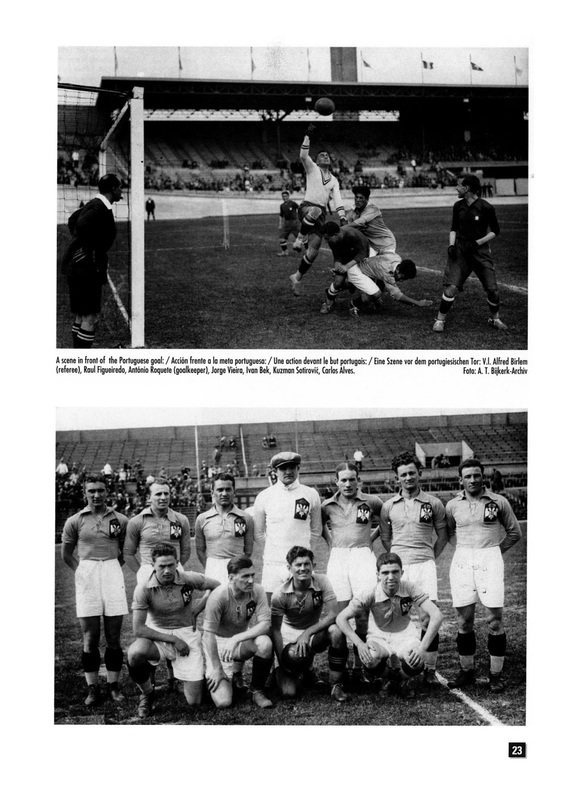 The third place match, on June 9th, between Italy and Egypt turned out to be little more than a training session as Italy demolished Egypt (11-3) with Schiavio, Banchero and Magnozzi all claiming hat tricks. In an act of Sportsmanship, Italy’s Fulvio Bernardini shot his penalty kick wide on purpose in the 84th minute as the Italians were already winning with a large score. 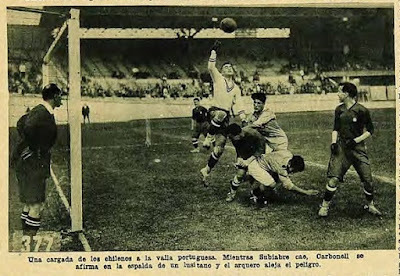 The Final between the South American giants took place on June 10th in a rain soaked pitch (it had rained prior to the match). Uruguay had inspirational Captain Nasazzi back in the squad, though Scarone was dropped in favor of Castro. Argentina for their part were missing Cherro. 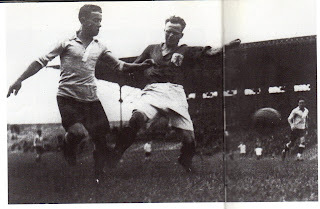 Petrone would give Uruguay the lead in the first half, before Manuel Ferreira tied the score early in the second half. Despite having more chances Argentina could not break the stalemate and the sides had to play in a replay to decide on the Gold Medal. The replay was on June 13th and both sides made changes. 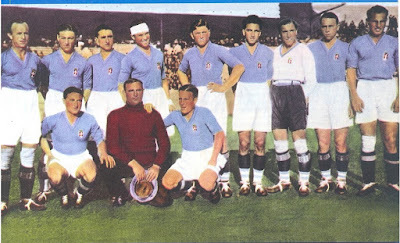 For Uruguay, Lorenzo Fernández, Santos Urdinarán, Héctor Castro, Pedro Petrone and Antonio Cámpolo were replaced with Juan Píriz, Juan Pedro Arremón, Héctor Scarone, René Borjas and Roberto Figueroa. Argentina only made one change; Feliciano Perducca came in for Enrique Gainzarain. Uruguay would once again take the lead first through Figueroa in the 17th minute. Monti would tie the match in the 28th minute. Uruguay would have to wait until the 72nd minute, when Scarone scored the winning goal. The result (2-1) remained unchanged and Uruguay were Olympics Champions for the second time running. They could truly claim to be the best Team in the World at this point (and would prove it further two years later). This was the last Olympics to include the best teams of the moment (apart from England) as the popularity of the sport gave the need to organize a Tournament for Football only. This would bring forth the World Cup in two years time, as the Sport was getting too big for the Olympics. The two sides (Uruguay and Argentina) would confirm their supremacy by facing one another again in the 1930 Final and Uruguay would once again be triumphant. As many as twelve of the Uruguay’s 1928 side (José Nasazzi, Domingo Tejera, José Leandro Andrade, Lorenzo Fernández, Alvaro Gestido, Santos Urdinarán, Héctor Castro, Pedro Petrone, Pedro Cea, Héctor Scarone, Juan Peregrino Anselmo and Miguel Angel Melogno) would be present in 1930. 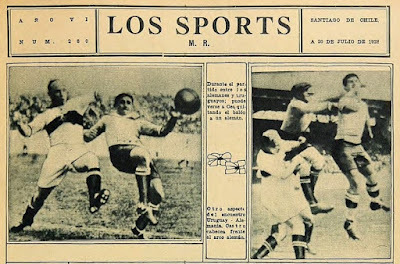 Argentina would be missing Raimundo Orsi in 1930. His displays at Amsterdam earned him the nickname ‘El Cometa de Amsterdam’ (comet of Amsterdam). He did not even return home form the Olympics. Juventus’ Edoardo Agnelli signed him there making him the first South American player to leave for Europe. 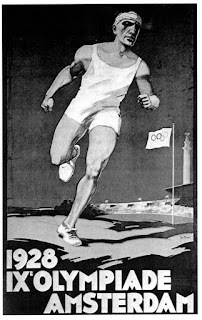 These 1928 Games would be the last Olympics not to be mired with any of the Politics of the day (1936 Nazi Olympics and Cold War politics of the decades to come). Football had the largest audience (251,747) in these Olympics despite reservations from the other disciplines. 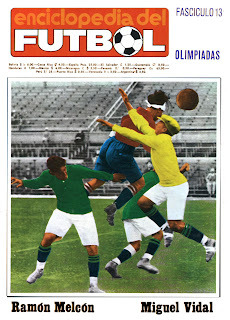 Football would not be present in the 1932 Olympics in Los Angeles, but would return in 1936 in a World on the brink of War. 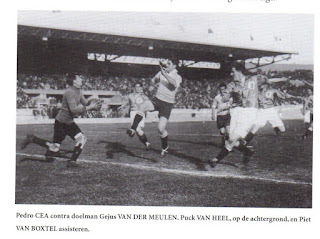 2-Dutch goalkeeper Gejus van der Meulen was also a Doctor. He would openly support the Nazis following the occupation of Holland during World War II. He would be imprisoned after the War and released after a few years, but lived mostly in disgrace due to his Nazi ties. 3-France’s Paul Nicolas was killed in a car accident with his wife on March 3rd, 1959. 4- Yugoslavia’s Emil Perska (June 20, 1897-May 1945) was linked with the ‘Ustase’ movement (Croatian Fascist organiztion). He was executed by Yugoslav partisans at the end of World War II. 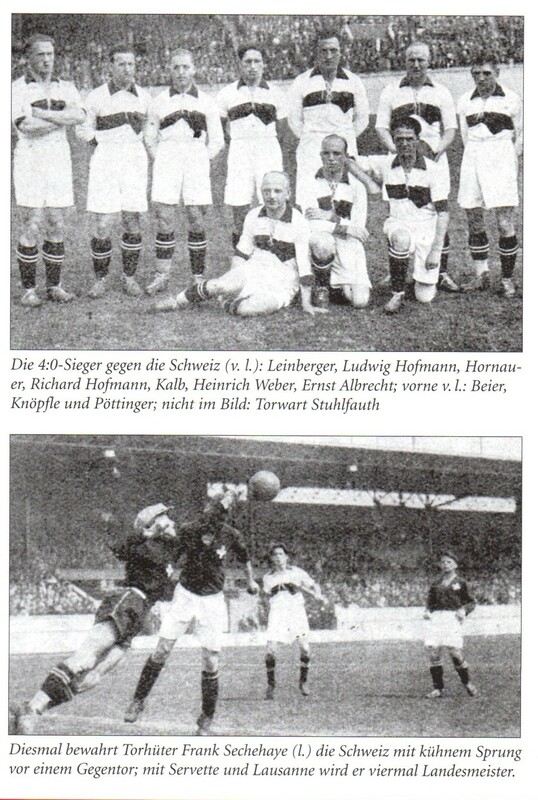 5-Germany’s Ludwig Leinberger died in a Military Hospital on March 3, 1943 after surgery for Appendicitis. 6- After his playing career France’s Captain in the 1930 World Cup,Alexandre Villaplane (December 12, 1905-December 26, 1944) became a criminal and a black marketer/racketeer. 7 -Yugoslavia’s Captain Dr. Milutin Ivkovic (March 3, 1906-May 23, 1943) was very Politically active. Belgium: Jan De Bie, Nicolaas Hoydoncks, August Hellemans, Jacques Moeschal, Louis Versyp, Bernard Voorhoof, Pierre Braine, Jan Diddens and Henri De Deken. France: Alexis Thepot, Augustin Chantrel, Alexandre Villaplane, Marcel Langiller, Lucien Laurent. Uruguay: José Nasazzi, Domingo Tejera, José Leandro Andrade, Lorenzo Fernández, Alvaro Gestido, Santos Urdinarán, Héctor Castro, Pedro Petrone, Pedro Cea, Héctor Scarone, Juan Peregrino Anselmo and Miguel Angel Melogno. Yugoslavia: Milutin Ivkovic, Milorad Arsenijevic, Blagoje Marjanovic, Ivan Bek. 9-From Italy’s squad as much as six of the players would be part of the 1934 World Cup winning side (Giampiero Combi, Virginio Rosetta, Umberto Caligaris, Attilio Ferraris IV and Angelo Schiavio). 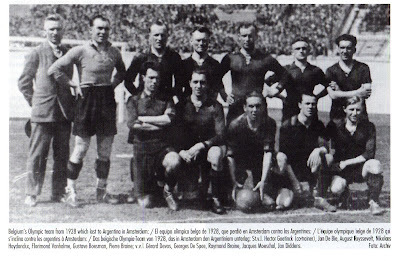 They were joined by Argentineans Raimundo Orsi and Luisito Monti. The duo would transfer to Italy and obtain Italian Citizenship and play for the Italian National team. 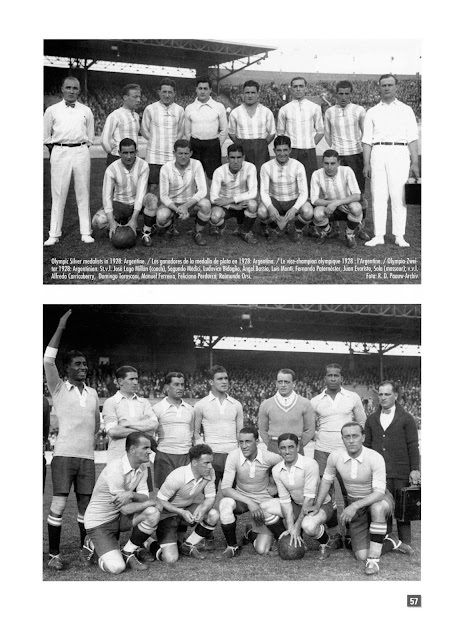 10-Argentina’s Luisito Monti would become the first and only player to play in two consecutive World Cup Final matches with two different Nations, losing the first (1930 with Argentina) and winning the second (1934 Italy). 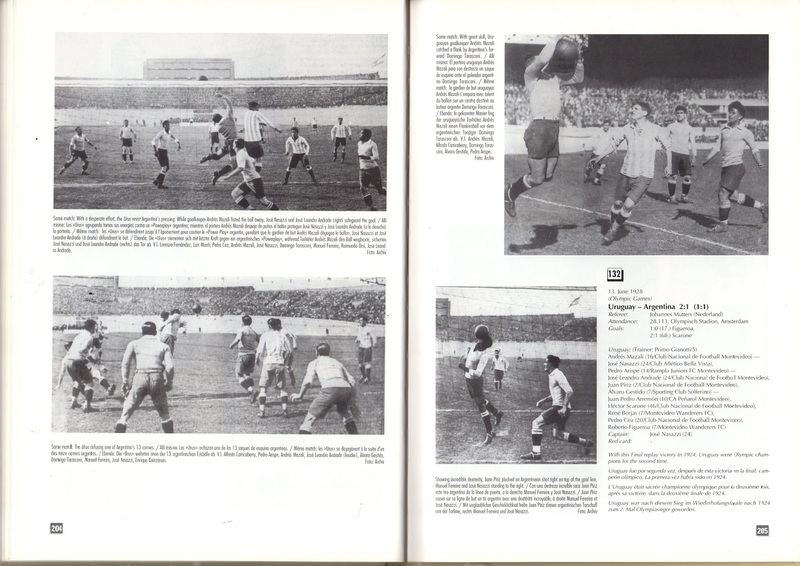 11-There are many relevant information from the 1930 World Cup upload on this blog that might pertain to these 1928 Olympics. The RSSSF website portion on the 1928 Olympics. Fascinating to read about the fate of van der Meulen and Villaplane - it shows than people who achieved the ultimate honour in representing their country can make the wrong choice(s).